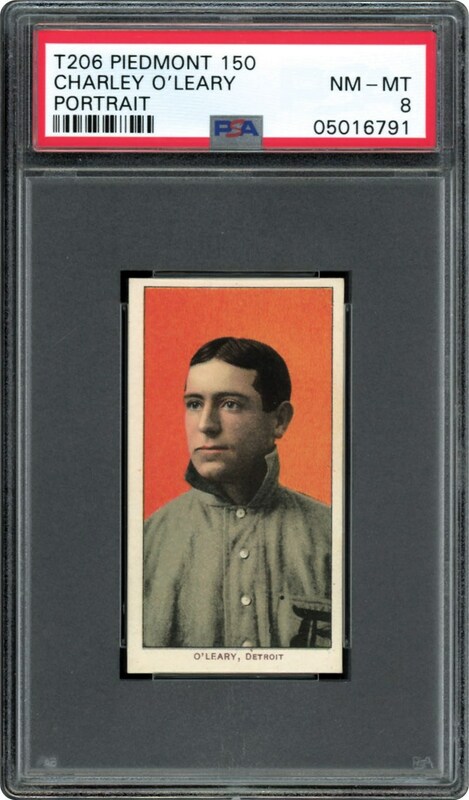 One of the premier Charley O'Leary Portrait T206 subjects is presented here in a spectacular PSA NM/MT 8 holder; one of only six at this lofty plateau with a meager three examples graded higher! Fortunately for collectors, his brilliant representation on this T206 "rare for the grade" marvel is no joke, and includes a classic Carl Horner portrait pose set against a sparkling orange hued background. Although the image does somewhat favor the upper right edges, the immaculate-like surfaces, crystal clear clarity, blinding white borders, and sharp/right-angled corners more than offset the positioning of this timeless image. 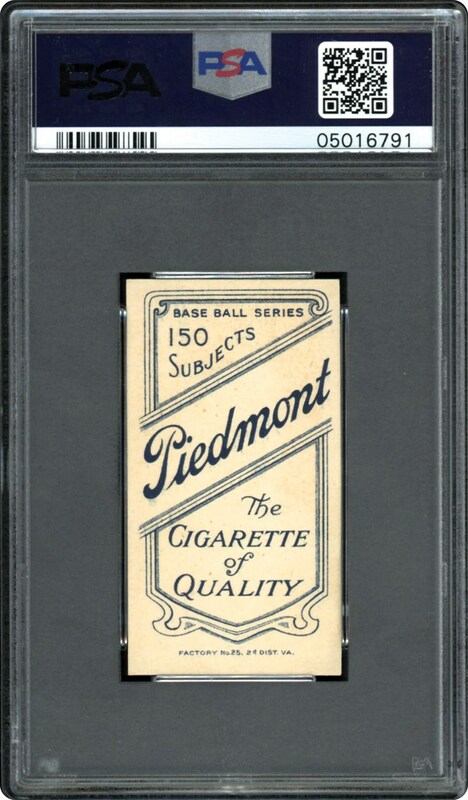 A cardboard treasure to say the least, its sheer existence in NM/MT condition some 110 years after its original issue date borders on the miraculous!